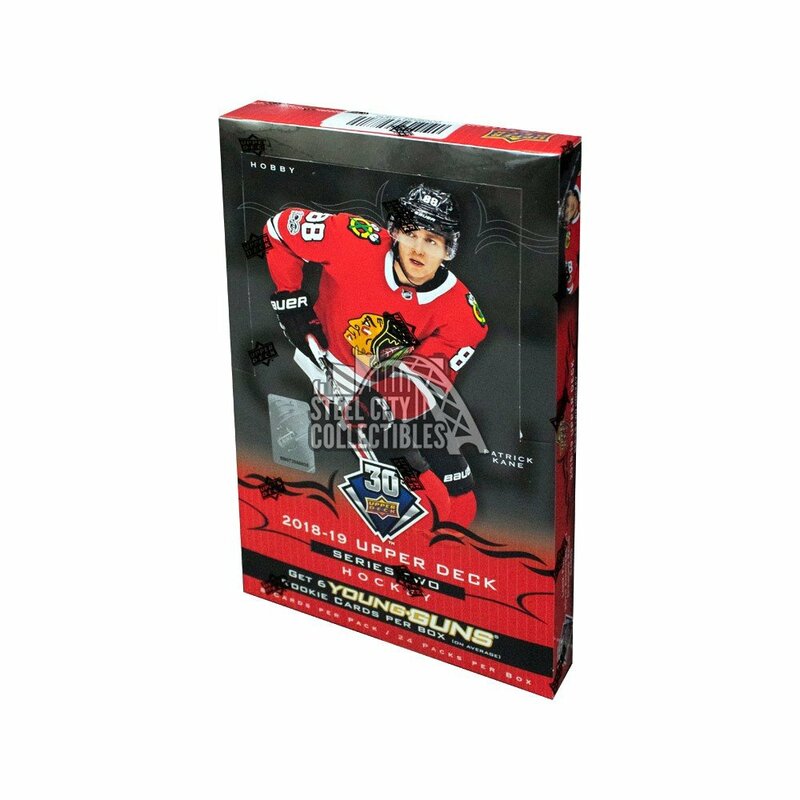 Including the prized Upper Deck Young Guns insert. Rookie Breakouts, printed on acetate stock and #’d to 100. Rookie Materials Jersey and Patch parallels (#’d to 25). Find gold foil parallels (#’d to 99) and Platinum Blue parallels (#’d to 25).